When it comes to your HVAC system, the last thing that probably comes to mind is cleaning. Normally, you’d be thinking about how it’s performing when it’s heating or cooling your home. But- did you know that cleaning your HVAC system actually effects how it performs? It’s true! In today’s blog, we’ll explore the different areas of your HVAC system that need attention and the best ways to conquer that grime. As the seasons change, differently allergens and debris are blown around, posing dangers for our HVAC systems and our bodies. It’s important to keep a close eye on your HVAC system during these changes, as additional debris getting stuck in the outdoor unit or extra dirt and dust build up indoors can affect the quality of air throughout your home. Typically every three months (or 90 days), it’s time for an air filter change. Try not to get the cheapest brand, either, quality is important here. These filter changes make great opportunities to double check the area for anything out of the ordinary- additional debris or grime would be out of the ordinary. HVAC systems are not the easiest places to clean. Those hard-to-reach places are the areas that accumulate enough dirt, dust, and other grime to spread throughout the entire house (for obvious reasons)! It’s important to focus on these areas, though, because otherwise, you’ll find yourself trying to reach through the air ducts to clean out more grime. If you’re having trouble, don’t hesitate to give the professionals a call. The Steam Team is the perfect team of experts for the job! Our group of knowledgeable, hardworking individuals can come out, inspect your HVAC system, and have it clean in no time flat! Just give us a call today! You love your leather furniture. It’s completely revamped the look of your living room; even house guests have said so! So naturally, you want it to last its longest. Well, fortunately for you, The Steam Team has the answers. Here’s how you can help your leather furniture last as long as possible! Like anything, it’s important to regularly care for leather furniture- not just when you’re spring cleaning. Your leather furniture will need to be dusted frequently to prevent buildup and discoloration. And you’ll also want to vacuum out those nooks and crannies whenever you have your handy vacuum attachment out! Doing so will keep it in tip top shape, which will help it to last longer. Just like our skin, leather furniture needs frequent conditioning. Conditioning your leather furniture will keep it from drying out and/or cracking. Make sure you’re using the correct product, or hire a professional to perform this task. You definitely don’t want anything to go awry when conditioning your furniture! Occasionally, give the professionals a call. Your leather furniture can be steam cleaned. And don’t worry; The Steam Team uses so little moisture on your furniture that it won’t be harmed. We can definitely help keep your leather cleaned and conditioned, thus elongating its lifespan. The Steam Team is a team of trained experts who excel in cleaning and restoration! We’ve been serving the city of Austin, TX for over a decade now, and we’re not stopping! So if you live in the area and your furniture needs a little bit of TLC from the pro’s, we’ve got it! Don’t hesitate to give us a call today. We’ll be out in a jiffy to help care for your furniture- and maybe more than that, too! Upholstered furniture adds a gorgeous flare to your home, no matter where its placed. Whether you have an accent chair that rarely gets used or we’re talking about your everyday family sofa- upholstered furniture is no easy feat to clean. Fortunately, there are some precautions you can take to keep your upholstered furniture staying clean longer- but ultimately, everything needs a deep, thorough clean every once in a while. Direct sunlight can be harmful to our furniture as it causes the fabric to fade and discolor. Avoid placing upholstery near bright, sunny windows, and rotate cushions periodically to ensure the fabric isn’t sitting in direct sunlight for extended periods of time. The best thing you can do for your furniture is to vacuum periodically throughout the week. Especially if you have (small) children and/or pets, crumbs seem to inch their way into every crack and crevice of our furniture. Vacuum the surface of the cushions and then in between, if you can, to make sure there isn’t anything left behind. 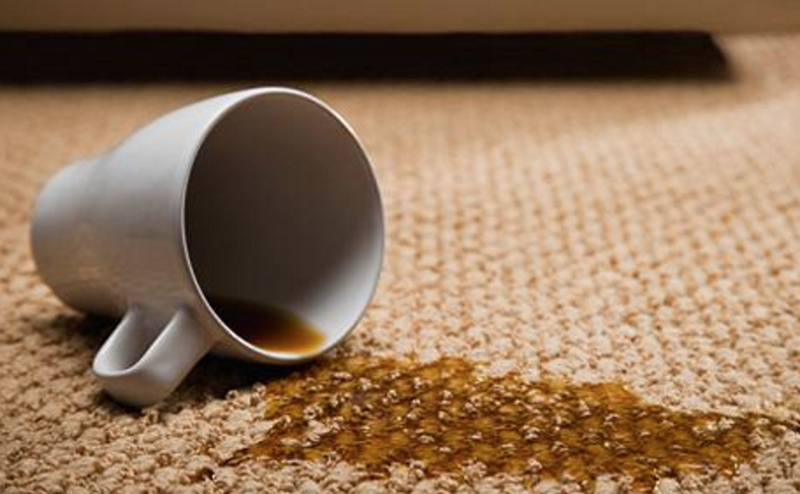 When it comes to spills and other stains, try to treat them as soon as you can- especially on softer fabrics. The longer liquids and other materials are left to sit, the more likely they are to stain the furniture. It’s best to blot up any spill first, and then apply your cleaning solution. Do not rub when it comes to spills because then the spot is more likely to spread. The Steam Team can help by treating your upholstery with a fabric protectant! Not only does our fabric protectant help to resist spills, but it also protects against ultraviolet radiation. So don’t hesitate to give us a call today- we’d love to help you protect your favorite upholstered furniture from everyday accidents! We also offer water damage services for commercial and residential customers. While we always hope the holidays are the happiest of times, the past has proven that the holidays are also often filled with fires, unfortunately. The dry air coupled with Christmas trees indoors and lights all around the house- there are numerous reasons that house fires increase around this time of year. Even further, when fire damages our property, it leaves behind a trail of smoke, soot, and ash that can permanently destroy our furniture and possessions. In most instances, it may be your first instinct to rush directly to the fire itself- but we always want to stress that you be extremely careful. Where there’s fire involved, it’s always best to call in the professionals (both to put out the fire and to clean up the damage). After the calls have been made, you can begin the cleanup process; just be sure to follow these few safety guidelines! First things first: DO NOT enter the scene without wearing a dust respirator mask! These masks will protect your lungs from the harmful contaminants which linger in the air after a fire. Smoke damage is always best handled by the professionals. A professional steam cleaning company, like The Steam Team, will have the correct equipment to thoroughly clean your furniture, as well as your carpets, surfaces, and window treatments- the whole package! It’s incredibly important that your home is handled properly after fire damage- with ventilation, equipment, and safety precautions. One thing you can do to help the ventilation around your home is to open any windows or doors to increase the airflow. A professional company, like The Steam Team, will come in with the latest equipment to clean any upholstered furniture, carpeting, window treatments, countertops, and any other surfaces or possessions that were affected by the fire. Give us a call today! We’re available 24/7 for your immediate fire damage needs. With the cooler weather and holidays approaching, we may be getting ready for parties and house guests to come visit! But before they arrive, it’s wise to do a little bit of house cleaning (or a lot!). So let’s discuss a few areas that need our attention the most! We want our guests to not only feel welcome in our home, but to also be dazzled at how clean everything is. And, not to brag, but when they ask how you did it, you can send them to us: The Steam Team Carpet Cleaning of Austin. Tile and grout are notorious for staining and discoloration. It’s porous by nature, so it absorbs spills and accidents very easily and needs to be cleaned often! When cleaning tile and grout, it’s important to remember not to use any abrasive materials as to not scratch your tile. We recommend steam cleaning tile and grout; it’s easy, saves you time and labor, and cleans effectively! Remember all of those carpet stains you’ve been hiding beneath your area rugs? Well, we can help to remove them! A professional grade steam cleaning machine can reach deep within the fibers of your carpet and extract the dirt and debris lurking underneath. They’ll look sparkling clean when we’re finished. Steam cleaning is great for kitchen countertops and other surfaces, whether they’re granite, marble, or other natural stone! It effortlessly removes grime and all of those sticky substances that have gone unnoticed for far too long! Rely on The Steam Team to get your kitchen ready to be shown off this season! The Steam Team has been serving the city of Austin for over 4 decades now! If you’re in need of some deep cleaning as you’re getting ready for the holidays, don’t hesitate to give us a call! We can effortlessly prepare your home for house guests this holiday season! The care label on your oriental rug is as important as ever. Oriental rugs are made of several different materials and this matters greatly when cleaning. For instance, silk rugs should be taken straight to the professionals, while cotton and wool rugs are more durable and can be vacuumed clean. Check your rug’s care label for special, important instructions! Keep your rug out of direct sunlight. Sunlight will cause the rug’s colors to fade over time. To let them “fade evenly,” rotate your rugs at least once a month! Unless your rug is antique or silk, it should be vacuumed at least once a week. Vacuuming on the regular will help lift dirt and debris from the carpet fibers, and also prevent the fibers from becoming matted down! 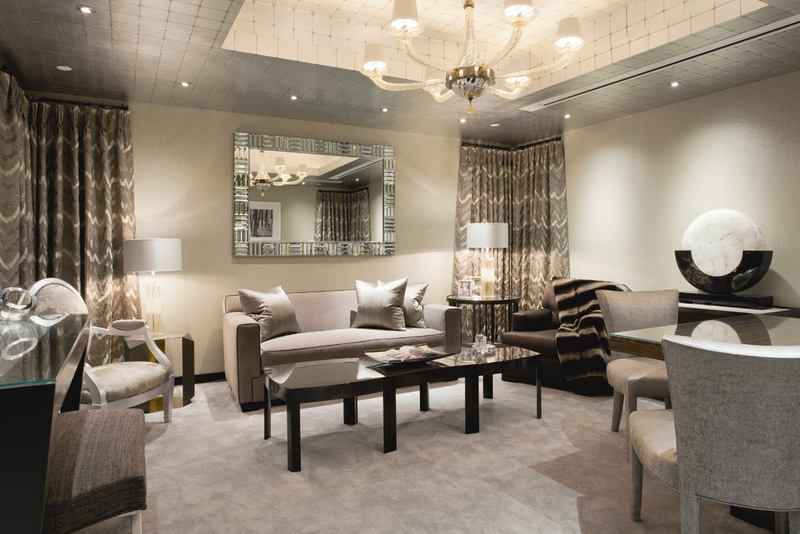 To increase your rug’s longevity, try moving around your furniture once every six months. Heavy furniture that sits atop your rugs can cause damage over time- we certainly don’t want that! Learn the best tips for spot treating your oriental rugs, and just like anything- clean up spills immediately after they happen! Did you know that The Steam Team takes the best care of area and oriental rugs? It’s true! With over a decade of experience and expertise, we’re the absolute best choice for the job. So if your oriental rug is in need of a deep carpet cleaning Austin, don’t wait- just call The Steam Team! Is Dry Carpet Cleaning Effective? Over time, our carpet collects tons of dust, dirt, dander, and more! It needs to be cleaned frequently and can’t be neglected. But which method do you use to clean your carpet? Today we’re comparing dry carpet cleaning to steam cleaning! Which method is more effective, and which method should we go with? Let’s find out! Steam cleaning is a method of cleaning that’s used on a variety of flooring, furniture, and surfaces- not just carpet. This makes it the most versatile cleaning method yet! Steam cleaning, or hot water extraction, uses nothing but hot water and high water pressure to extract dirt and grime from deep within your carpet fibers. It uses little moisture and absolutely no chemicals. Which Method is Better for Carpet? We always recommend steam cleaning your carpets! Not only does it clean without the use of chemicals, but it’s also completely safe for your children, pets, other family members, and the environment in general. It can be done in a timely manner, especially if you hire the professionals. Imagine running out for errands and coming home to clean, dry carpet (that’s right- we’ll never leave you with wet or even damp carpets!). Your Austin Texas cleaning headquarters. Contact The Steam Team if you’re looking for prices, or more information on our cleaning processes! We’ve been serving the Austin community for over a decade now, and have accumulated plenty of experience and expertise; we can restore your carpet to its original condition in no time! We clean in Round Rock, Cedar Park, and all over Central Texas to include San Marcos. Is Carpet Cleaning Safe for Kids? As you get ready to clean your home (or office, or retail space, or what have you…), you may be wondering which method you should use. We strongly suggest steam cleaning, for its many benefits, but mostly because it’s completely safe for your kids and the environment. Let’s review the basics when it comes to steam cleaning, and why it’s so beneficial! Steam cleaning is a method of cleaning that uses nothing but hot water, and high pressure to clean a variety of surfaces and furniture pieces. It cleans without chemicals and provides you with a clean that you can truly trust! Since professional carpet cleaning doesn’t involve the usage of harsh chemicals, it’s completely safe for the environment. It doesn’t even leave behind any residue that you need to fuss over! What’s left, after steam cleaning, is a perfectly clean surface (or sofa! Or window treatments!) that’s completely safe for your children. It’s versatile. You can steam clean almost anything, from leather upholstery to grout and tile flooring. How great is that? Forget the mop and bucket; all you need is a steam cleaning machine! It’s simple. Water, heat, pressure. A steam cleaning machine effortlessly removes dirt, debris, dander, dust, and so much more from your flooring and furniture! It can even be used on leather furniture, and works great for cleaning countertops! It saves you money. Since a steam cleaning machine doesn’t use any chemicals, once again, you’re not buying any cleaning products! You’ll save money in the long run. Choose The Steam Team for all of your cleaning needs! We’ll work hard to make sure that your home looks as great as it did the day you moved in- and we’ll do it in an efficient, timely manner! Accidents happen! Who can prevent them? No one; they’ll always be lurking around the corner, waiting to harm your carpet! But you can easily let carpet stains hide until the professionals arrive, because we have all of the expertise and equipment to effectively remove stains from carpet, upholstery and other materials, too! Here are three common carpet stains that you can let hide until we arrive: Rug cleaning and stain protection from The Steam Team of Austin located at 9901 Burnet Rd. Austin, Texas 78758. First, let this stain dry. It may seem backwards, but dealing with dirt is much easier than dealing with moist, wet mud. So let the mud dry, and vacuum up any loose pieces. After vacuuming, spot treat the stains with a 50/50 mixture of vinegar and water. Spray this onto the stain, and blot it clean with a white cloth! One of the most common carpet stains is food. For food stains of any kind, we can also use vinegar. Mix ¼ teaspoon of white vinegar (or non-bleach detergent) with 32 ounces of water. Spray and blot, people! Always blot stains- don’t rub them! Rubbing stains usually makes them worse. The Steam Team of Austin cleans all types of fine rugs at our Burnet Road rug cleaning plant. If that party became a little too crazy last night, that’s okay! We have the tools to help you. After you’ve absorbed the wine with clean paper towels or a cloth, use one tablespoon of white vinegar, one tablespoon of dish detergent, and two cups of warm water! Mix together and blot onto the stain until your cloth comes back clean. It shouldn’t take very many repetitions! The Steam Team is available twenty four hours a day for any circumstance that may arise! If you need a deep carpet cleaning, then it’s time to give us a call! We’ll remove stains while we’re at it, and restore your carpet to its original, perfect condition! For carpet cleaning in Round Rock or Austin call us today at 512-451-8326. It’s mid-winter; we’re covering plants, igniting our fireplaces, and hunkering down beneath blankets and throws. In our sleep, we can’t help but dream of sun shining days, clear skies, blossoming flowers- and of course- we dream of admiring it all from our picturesque patios. Spring will be here before we know it. As you’re preparing your home for the change in season, consider extending your efforts to the patio- (where the porch swing awaits, ready for daydreamy visits). A concrete staining is a simple, yet effective way of revamping an old stain job, or changing the atmosphere altogether. Often times, the cost of remodeling, repairing, etc is the most daunting part of beginning a project, but concrete staining is more cost-efficient than most people understand. That’s why we encourage homeowners to have their concrete floors professionally cleaned, and then stained- instead of having them replaced altogether! Flooring has a major influence in a room’s aesthetic appeal, and this is no less true outdoors, on the patio. Staining the concrete is a relatively simple way to alter the atmosphere on your patio- you can change the color, shade, or even brightness and tint! Concrete staining is not permanent; it’s relatively easy to reverse its effect by layering the flooring with a different shade. A professional cleaning and restoration company can easily do this for you! With years of experience tackling a wide array of projects, The Steam Team is your number one choice for cleaning and restoration in Austin, Texas! Our team of experts have over a decade of knowledge and experience, and with the help of our industrial-strength equipment, can complete any project around your home or office! From concrete staining, to tile and grout cleaning, to air duct and upholstery sanitizing, The Steam Team can do it all! We all have that one coworker who never seems to clean up after themselves. Their desk is covered in misplaced papers and half-finished projects, and after lunch hour, “their spot,” at the break room table is the grossest out of everyone’s. The cleaning crew comes each night, but during your shift, it can really become unsightly! Here are a few tips for keeping your office cleaner this quarter. You’ve gotta start somewhere, so let that be the place you spend the most of your time at: your desk, your workstation, your spot at the breakroom table. Keep these areas spotless. Use Lysol or another disinfectant (hopefully they’re on hand) to clean these areas before you work/eat. Also try not to eat your lunch at your desk. This will prevent unnecessary crumbs and goop from collecting in your workspace. Do yourself a favor and establish a system for filing and storage! It can be far more difficult to stay productive within a messy, chaotic work environment. Use file cabinets, baskets, folders, bins; there are dozens of ways to organize your projects and paperwork. Choose a day out of the week (or multiple days if needed) to routinely catch up on organization. If your office is in need of a thorough, deep cleaning, contact your professional cleaning and restoration company! Professionals like us, The Steam Team, are well-equipped with the tools and expertise to help your office shine!